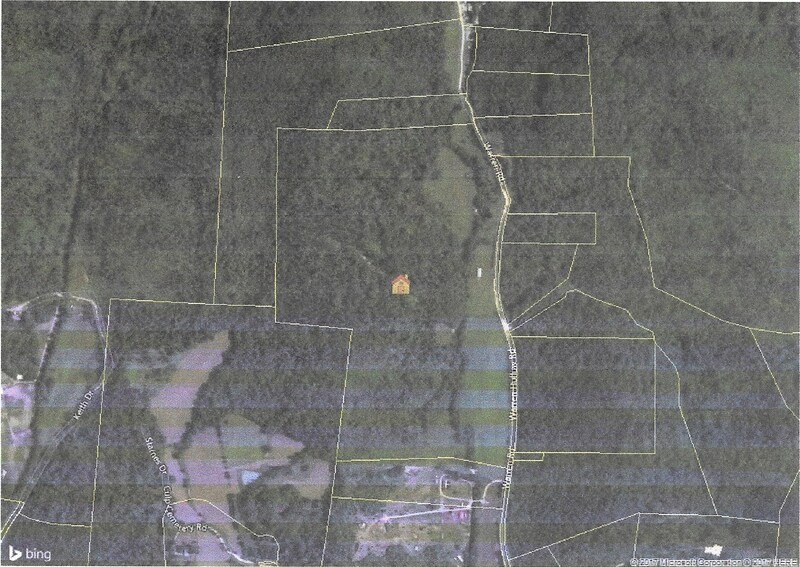 WARREN HOLLOW RD - TN LAND WITH HOME, CREEKS, PASTURE, HUNTING, TIMBER & VIEWS. Folks this is one of the most unique and picturesque properties I have ever seen, and my brief description & pictures by no means, does this place justice. You have got to experience this place in person!! First let's talk about the building. It is an 1,800 sq.ft. Insulated steel arch building that can withstand winds in excess of over a 100 mph. with a portion of the building converted into living space featuring 2 bedrooms, 1 bathroom, and a kitchen/den/dining area. The remainder of the building is used for storage/shop/garage area. Now for the Acreage! This phenomenal property measures out at a fraction over 86 acres, and has a current survey with boundary lines marked. Approx. 20 acres are in fertile Fields that are currently being used for hay, but would make excellent row crop land, or pasture for horses & cows. The remaining acreage is made-up of valleys, ridges, and hillsides enhanced with dramatic rock outcroppings, and covered in hardwoods such as Oak and Hickory. The views from the rocks are breathtaking, and also serve as natural lookouts for the Whitetail Deer & Turkey that are everywhere! Now for what I consider the greatest and most valuable asset to this unparalleled property is the amount of natural water that it has been blessed with, which includes 2 Ponds, a dug well, a solid Rock Bottom Creek that runs through the property for approx. ½ mile, and 2 Springs. I have a video of one of the springs that shows the unbelievable amount of water flow, which is estimated to be around 8,000 gallons every 24 hours!! All appliances, and furniture all included in the deal, along with a nice Nitro fish/ski boat with 110 Hp Johnson outboard, since the Tennessee River is only about 10 minutes away! Here is your rare chance to own a piece of Natures Paradise that you usually only get to read about, and see pictures of. Address :595 Warren Hollow Rd.